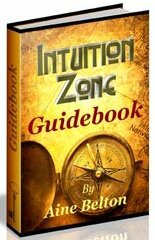 The Science of Intuition - Meet Your Highest Self! The Science of Intuition is amazing. It's not often I come across something as unique and enlightening as this, and when I get to offer it as a gift, that's icing on the cake! Did you know that you have a magic wand in your pocket? An inner compass that will align you to your highest path and potential, that you can consciously access and apply? It is your ultimate ally! Find out how you can unlock it in this awesome FREE report! This Magic Wand is the gateway to your unlimited self, and all the wisdom, love and guidance you need to craft your life optimally with the science of intuition! It is the innate tool within you that swings wide open the doors to True Success; success that reflects and expresses your inherent gifts, talents and soul's calling. This mysterious power will give you access to higher realms of awareness beyond five-sensory perception. It is your most treasured resource, and lies latent and untapped, waiting to be unleashed within! * The vast and magnificent overseer of your multi selves - past, present and future, conscious and subconscious.